The dashing Nani is arguably one of the most popular names in the Telugu film industry today. And, now, he is in the news for an awesome reason. 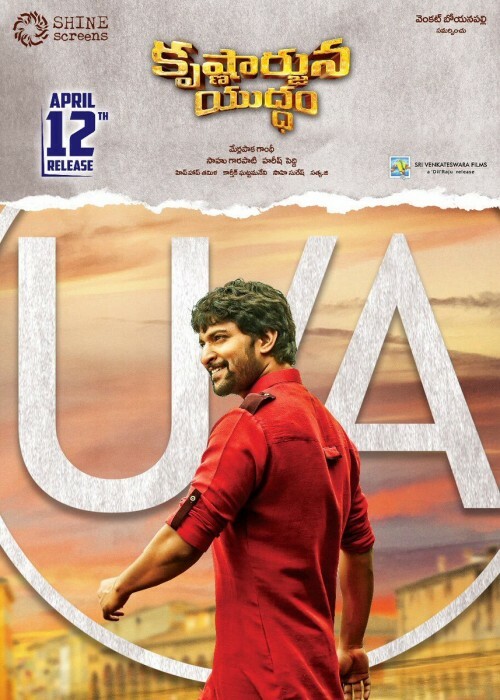 As it so happens, the young star’s upcoming film Krishnarjuna Yuddham has completed censor formalities and been passed with a U/A certificate. As such, it will hit screens on April 12, 2018 and keep its date with the audience. This is some big news and is bound to create a buzz amongst movie goers. In case you did not know, Krishnarjuna Yuddham is touted to be an action-comedy and has been directed by Merlapaka Gandhi. In it, Nani will be seen in a double role. KAY also features Anupama Parameswaran in the lead and her chemistry with the ‘Natural Star’ is likely be a major highlight of the film. Interestingly, Krishnarjuna Yuddham is Merlapaka’s first film in nearly two years. He is best known for directing Express Raja and it will be worth watching if he finds success with this. On a related, 2018 has been a good year for Nani so far. Nearly two months ago, he added a new dimension to his career when his maiden production venture AWE opened to an encouraging response at the box office and received praise from all quarters. Hailed as a ‘genre-bender’, it had Kajal Aggarwal and Nithya Menen in the lead. While talking about his decision to produce the film, he had said that it was his way of giving back to the industry that made him a star. Let us hope KAY helps him continue his tryst with success.